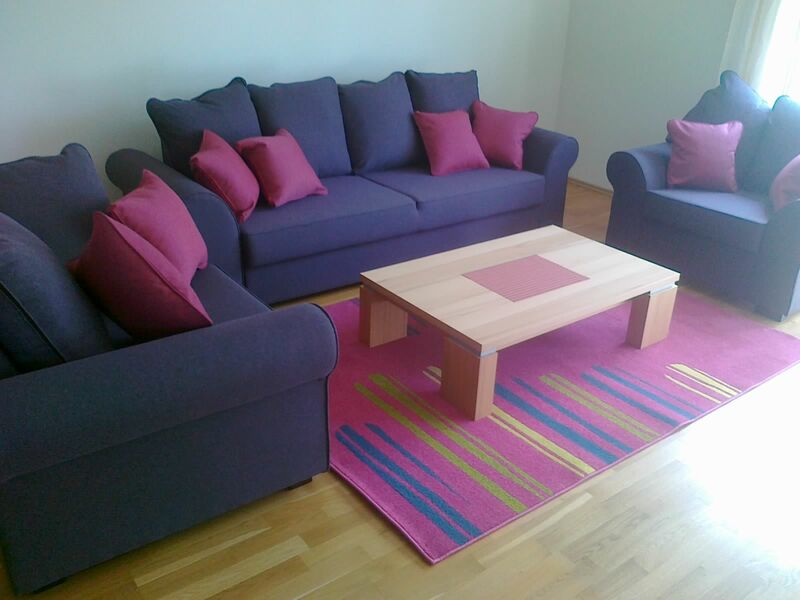 Papli 28-3 is a roomy 60 m2 one bedroom apartment. It's located on the ground floor with a spacious patio which is accessible through the living room and the bedroom. The apartment has a Finnish sauna ( Harvia M80 manual), washroom with a lavatory. The kitchen includes a fridge, an electronic cooker, oven and dishware. The living room is furnished with soft couches. One of them can also be used as a double bed. The television has about 70 different channels and you can always enjoy the fireplace. Now air conditioned! The bedroom has a wide double bed and in the wardrobe you can find a folded-up bed for one. The apartment is capable of hosting up to 5 guests. You can always order a crib. The WiFi network Papli26 is free for your use. You will receive the password with the keys. Booking is possible by filling in the form below. The colour green indicates days that are open for booking and the colour red shows the days that are already booked. Please fill in all the gaps. If you wish you can also send a message (ask for a crib etc...). After clicking "Send" you will be contacted to agree upon the terms and conditions and you will be sent an e-mail that confirms your stay.